Katanga, home to some of the world's largest cobalt deposits and the second biggest African provider of copper, has seen periodic violence over the past two years. 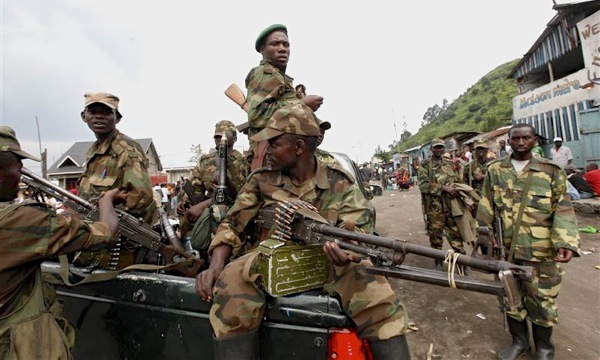 At least 26 people were killed Tuesday in the Democratic Republic of Congo (DRC) as Congolese soldiers tried containing a rebels’ attack to the city of Lubumbashi, located in the copper-rich southeast province of Katanga. Police told Press TV a separatist militia known as the Mai Mai Kata Katanga (meaning “cut out Katanga” in the Swahili language) launched the assault that cost the life of government soldiers and insurgents alike. Although the mineral rich province has been spared most of the rebellions that have simmered in the DRC over the last decade, the area, home to some of the world's largest cobalt deposits and the second biggest African provider of copper, has seen periodic violence. Several died in March last year in a similar outbreak, considered one of the largest ever registered in Lubumbash. A total of 245 rebels armed with bows, arrows and machetes fought with the army and police before forcing their way into a UN compound and surrendering. In June, the United Nations peacekeeping mission based in the country, known as Monusco, decided to deploy Special Forces in Katanga to support the peacekeeping forces already in the province. Major miners, such as giant commodities trader and miner Glencore Xstrata (LON:GLEN) and Freeport-McMoRan (NYSE:FCX), have operations in the area, which exports about half a million tonnes of copper a year. Image: Congo rebels, WikiMedia Commons.